Browse through my online tatoo gallery of original designs to find your perfect tattoo. 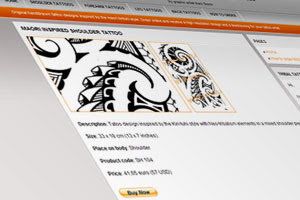 If you decided to order a tattoo, simply click the "Buy now" button and you go to checkout and finalize your order. You’ll be forwarded to a secured Paypal page and you can pay with your creditcard or Paypal account. Once I receive your payment, I’ll send you an e-mail with two files attached. He can use the tattoo as it is or change the color to whatever you like best - the tatoo artist will also be able to re-size the design and customize it in any way you like. If there is an element of a design you don't like, the artist can leave it out. 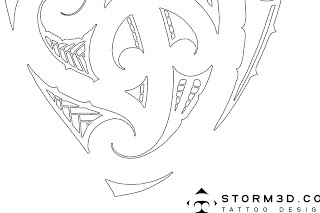 You can also buy multiple designs and have them combined into an unique tribal tattoo design. I emailed you the other day about a custom design. Could you email me back as soon as you can. 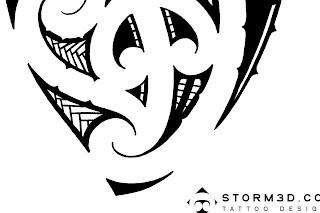 I'm keen to get the design started for my boyfriend.